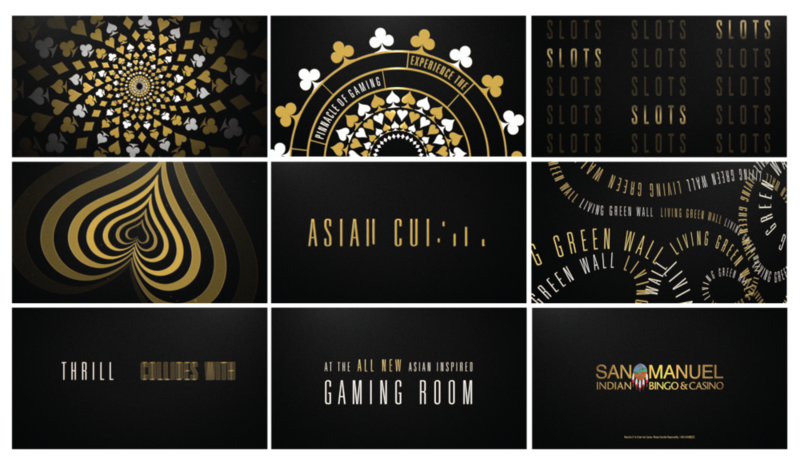 San Manuel Casino revealed its brand new Asian-inspired gaming room. They wanted to release a video teaser that highlighted all the features of the room in a modern way without showing the actual room, so with the help of a motion graphic artist this video was created. Some logos I came up with. The name of the actual room changed, but they choose the 3rd treatment from the left.